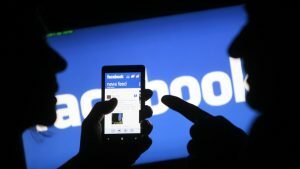 A U.S. judge has dismissed a lawsuit against Facebook (NASDAQ:FB) brought over its tracking of users of its social network. The lawsuit revolved around the way Facebook tracks people when they are logged out of the site. The plaintiffs alleged that Facebook used “like” buttons found on other websites to track which sites they visited, documenting their online activity and browsing history. Facebook was accused of tracking users’ internet usage, regardless if they had logged out of the network, between April 22, 2010 and Sept. 26, 2011. When a user visits a site with a like button, the browser sends information to both Facebook and the server where the page is stored. The plaintiffs argued that this broke federal and state privacy and wiretapping laws. Davila also stated that the plaintiffs had failed to show that they had a “reasonable expectation of privacy.” The judge said that the plaintiffs could have kept their online activity private by using Incognito mode on their preferred browser or by using an opt-out tool. The judge also stated that the plaintiffs didn’t prove that they had suffered “realistic” economic harm or loss. The decision has a potentially broad impact for many of the social media giant’s users. The decision puts the onus on the users to protect their privacy, something many people aren’t going to bother doing. The ruling also means that the plaintiffs can’t go to court again with privacy invasion and wiretapping claims. This is the second time Davila has ruled in Facebook’s favor. The judge previously dismissed an earlier version of the lawsuit back in 2015.